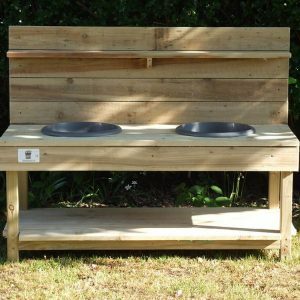 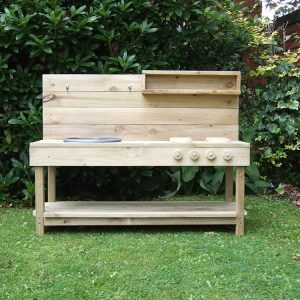 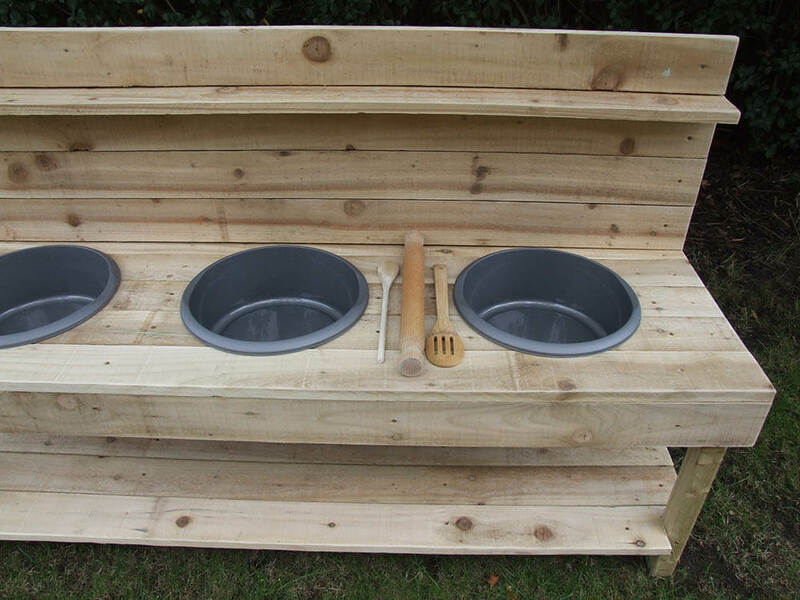 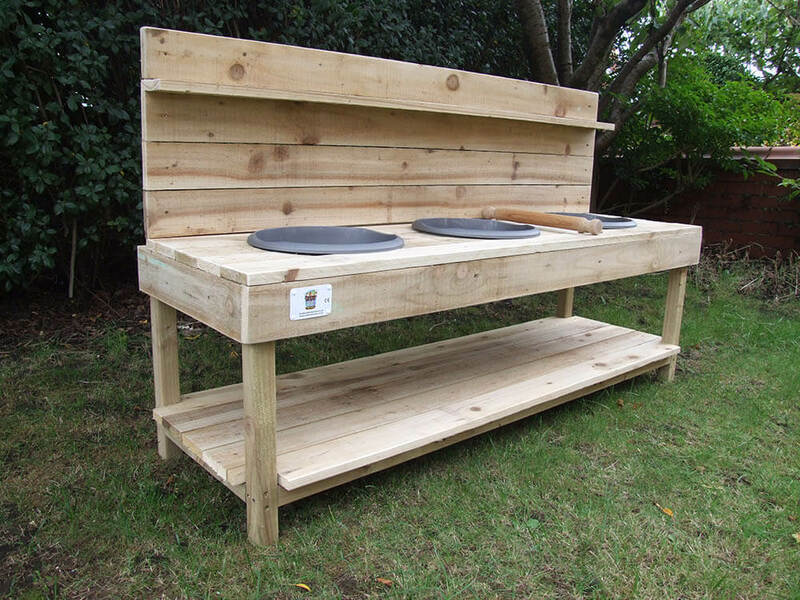 This is a large mud kitchen and great if you have more than one child! 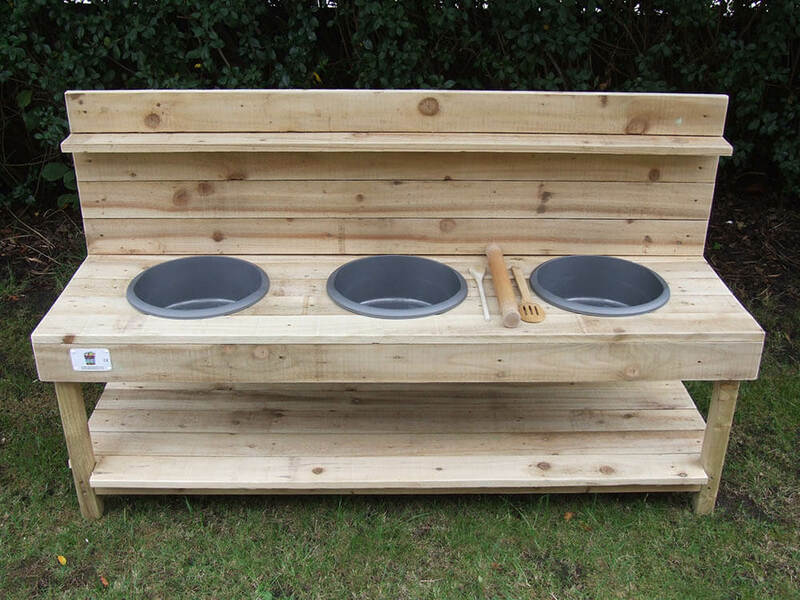 The large play surface incorporates 3 plastic bowls, with storage space above and below for old pots, pans and accessories. 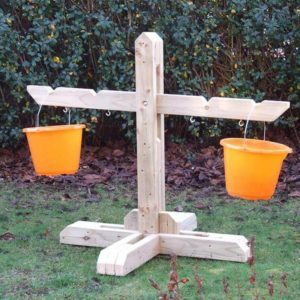 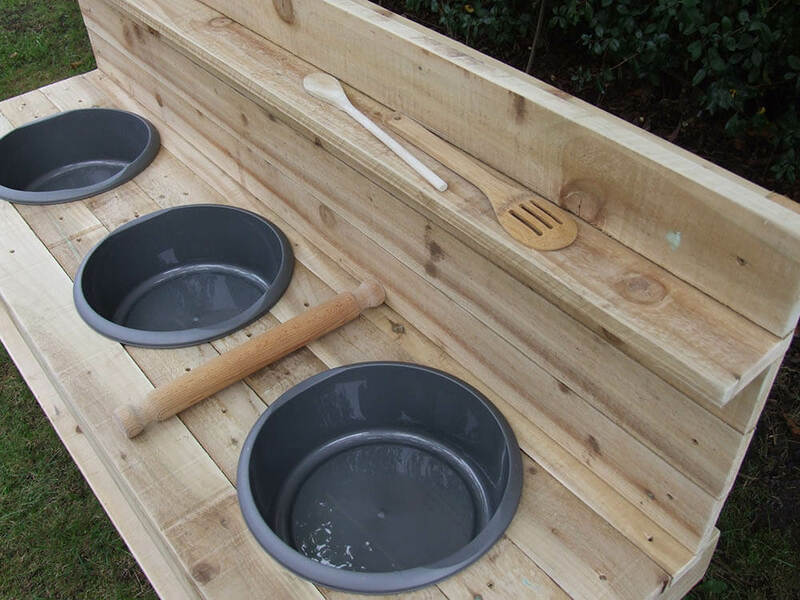 Perfect for mixing sand, mud, twigs and leaves into the messiest of mud pies, you can wash the entire playset down with soap and water (or a hose pipe) so it’s clean and ready to cook up a storm again tomorrow. 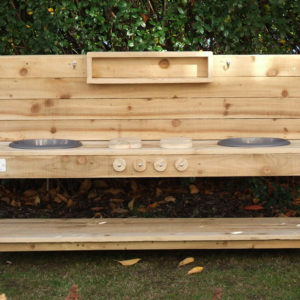 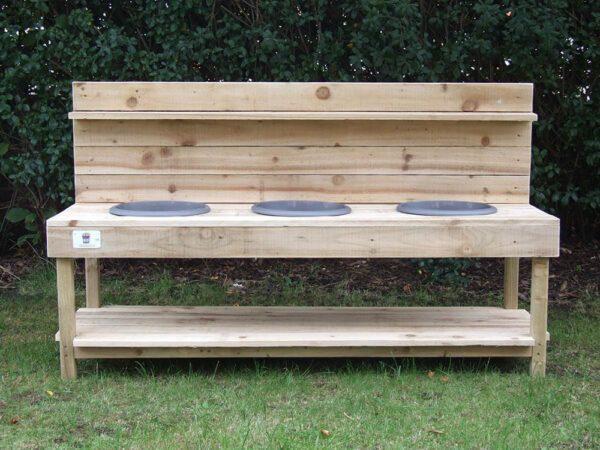 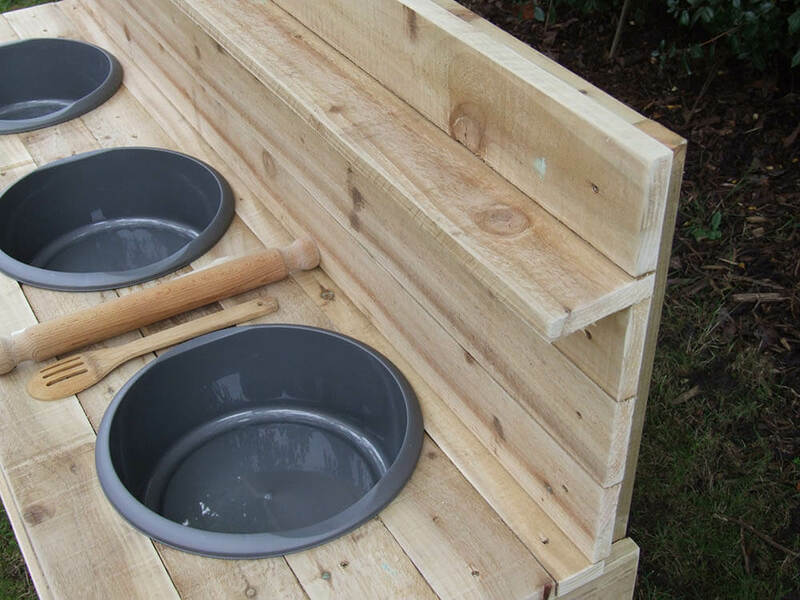 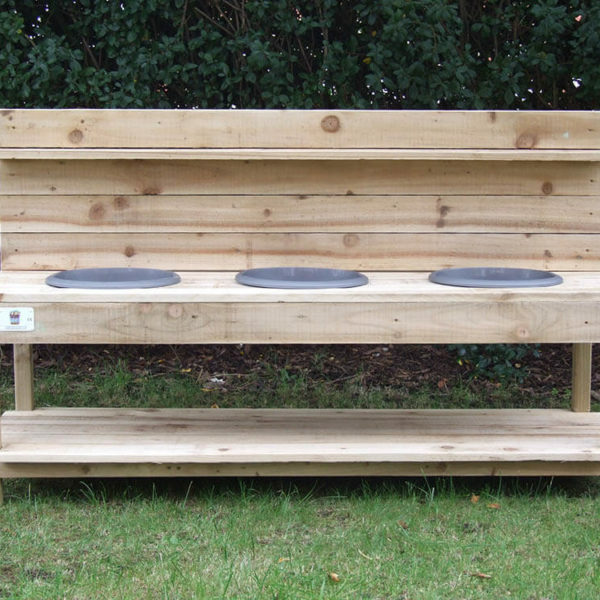 All of our mud kitchens can link together to create a large play zone!